Uniforms, equipment (golf bags, basketball return, batting cage) buses to major events, banners for the gym, etc. Anything to support the athletic progrmas at Northeast. Through corporate sponsor partnership and boosters funding a state-of-the-art (capable of video playback) scoreboard was installed at Eagles Stadium. Boosters pays over half of each Senior athlete poster (large vinyl high quality individual action shot of each athlete). Click here or see menu to left for more information. The board sells a variety of Northeast Eagles apparel including T-Shirts, Sweatshirts, Hats, and complete athletic sets. Many of the styles have been updated within the last year. Click here to see pictures and download the order form. Membership is $10 ($5 of which goes directly to the sport of your choice). Select Online Forms on the left menu to join the Booster Club. Volunteer to work concessions or other booster fundraising events. Use Board Member contacts menu on the left to contact a board member on opportunities to volunteer. 3rd Wednesday of every month, 7pm, at Northeast High School. See the website calendar for the exact date. 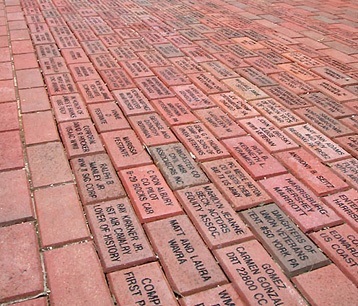 The Northeast Athletic Program is celebrating our new facilities by offering a way to permanently display your name or honor someone else by having their name displayed on a brick which will be permanently placed on “Eagle Walk”. This patio is the gateway into our new stadium where Northeast sport teams participate. See more information and a form to purchase the brick immediately below.